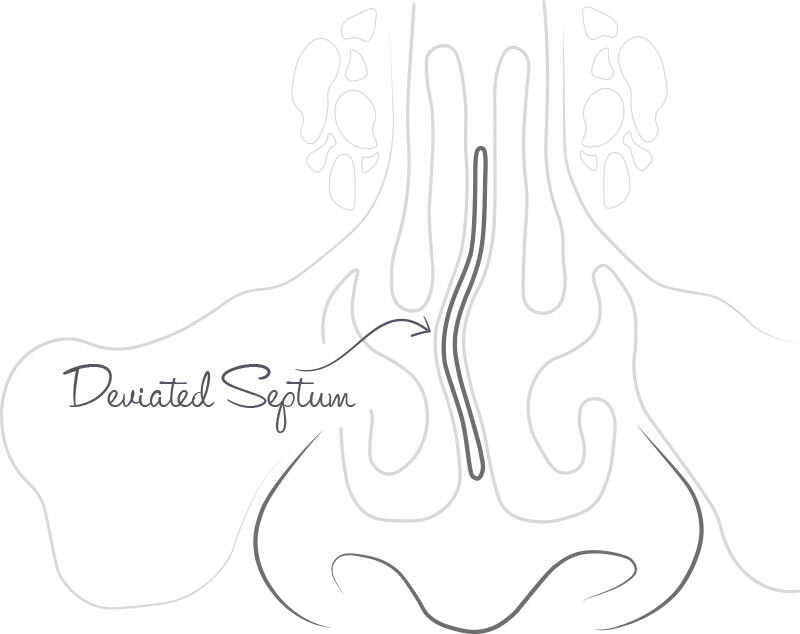 Septoplasty is a surgical procedure to correct a deviated septum. A septoplasty is recommended when the septum blocks one or both sides of the nasal cavities, including symptoms such as blocked airways, frequent sinusitis, aching, nosebleeds and internal appearance of a crooked nose. Surgery can improve nasal breathing, thereby reducing or eliminating sinusitis, aching and nosebleeds. The operation is performed through your nostrils and does not result in any facial scars. Septoplasty is performed using an incision made inside the nose to provide access to the septal cartilage bone. Portions of the septum are trimmed, reshaped and repositioned to correct deviations, maintain support and give maximal breathing space. You will experience pain a few days after the procedure, followed by a possibility for bleeding and infection. Some of the very uncommon, but possible risks are the possibility of developing a haematoma or abscess, making a hole in the septum, injury to the nerves, change to the shape of the nose, failure to completely improve breathing, nasal crusting and cerebraspinal fluid leakage. Because of the proximity of the dissection to the incisors, these teeth and a small area of the hard palate behind them, may feel numb for 2 – 3 months. Once the procedure has been completed and you have been sent home, please take note of the following. If you have to sneeze, do so with an open mouth as this prevents excessive pressure build up and bleeding. Avoid taking very hot showers / baths for at least 3 – 4 days after the surgery. Minor stiffness, pain and swelling of the tip of the nose are to be expected. Do not blow your nose for the first two weeks after the surgery. Remember to book a follow-up appointment as discussed with Dr Kluge.